Shikhar Dhawan International Indian cricket player. who has also been a player of the Indian national team? He is a left-handed batsman and right-arm bowler of a right-handed batsman. Shikhar Dhawan played against Australia ODI match in 2010. Shikhar Dhawan was born on December 5, 1985, in Delhi in a Punjabi family and his father's name is Mahendrapal Dhawan. He completed his education from St. Mark's School in Delhi. From the age of 12, he started practising cricket under the guidance of Tarak Sinha in Sonnet Club. In 2012, Shikhar Dhawan married the boxer Ayesha Mukherjee of Melbourne, who was already married and has two daughters. Both of them met through Facebook. 2014 he has a boy named Jarara. In 2004-05, he played the first match in Delhi's Ranji Trophy. In that trophy, he was the highest run scorer with his team. In June 2011, he played the T20 debut against the West Indies at Queen's Park Oval. He completed his first half-century in ODI's first match. On 14 March 2013, he played against Australia in the first Test match. On the third day of the Test, h,e completed the fastest century and broke the record of former India player Gundappa Vishwanath who made the fastest century in the match. Shikhar Dhawan scored an unbeaten 185 in only 168 balls in that Test match. In the IPL, Shikhar Dhawan has played for Delhi Daredevils, Mumbai Indians, Deccan Chargers and Sunrisers Hyderabad. 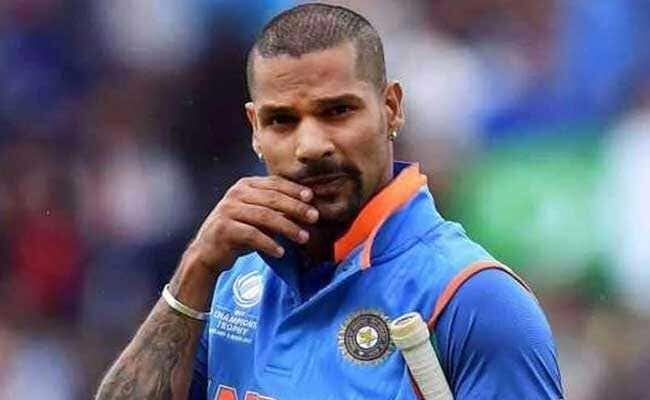 The second name of Shikhar Dhawan is Gabbar. He was given the name Gabbar when he used to field in the slip, often practising Amjad Khan's famous dialogue of Amitabh Bachchan and Dharmendra's famous "Sholay" film, Amjad Khan's dialogue. That is why all of them are now called by Gabbar. Shikhar Dhawan started a cricketing career with wicket-keeper when he started practising cricket under the guidance of coach Tarak Sinha.